This report updates FRC report No. 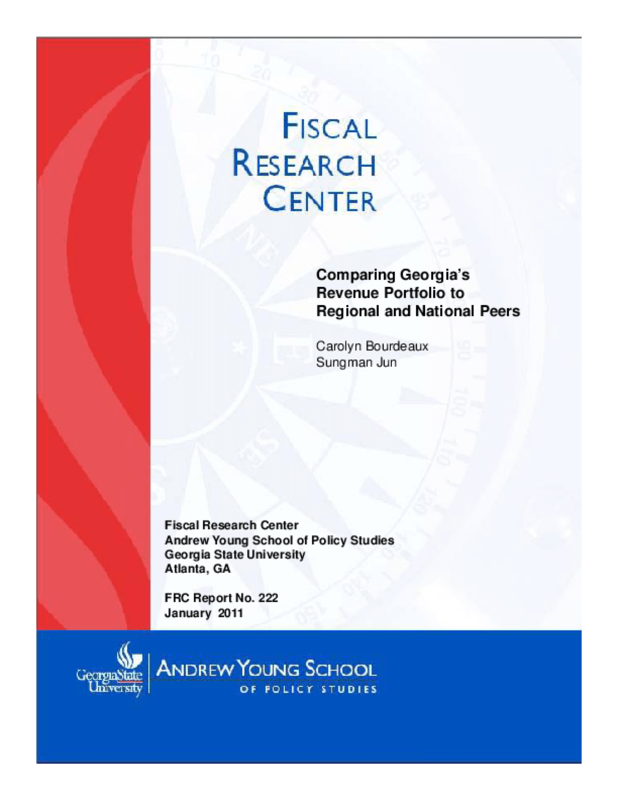 201 from December 2009, describing Georgia's FY2007 revenue and expenditure portfolio as compared to regional and national peers (Buschman 2009). The report uses updated 2008 U.S. Census data and, where available, 2009 and 2010 Census data.